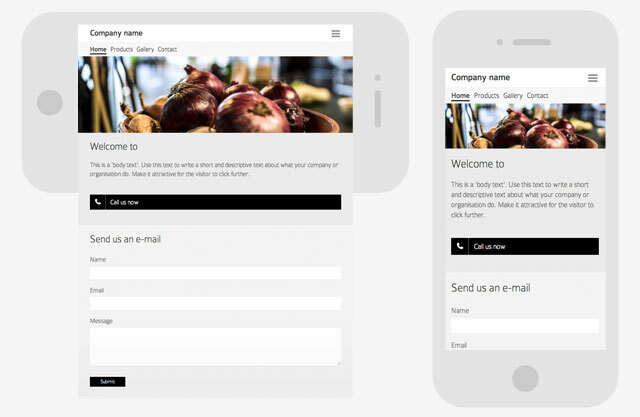 In mono mobile sites you design page layout in the same way as the mono website. In mono mobile there is just one type of page layout that simply contains one column. You build pages up by dragging modules onto the page as you wish just like with your website. However, for a mono mobile site we have developed a series of modules with two and three columns so it is still possible to get the layout to look as if it consists of multiple columns. It is also possible to merge all your content from your regular website to your mobile site. To do this, when in the mobile website area of the mono tool, go to Site Settings and click "Import content from website" in the left-hand menu. The tool will alert you that it will override any existing content on your mobile site. It makes the most sense to import your website as a first step and then make edits as you see fit on your mobile site. As mobile design should work for a variety of smartphones in various sizes, all images are uploaded in a size that also works for viewing the site horizontally (landscape view). The illustration below shows a side building that appears in both landscape and portrait view. The image is scaled up in size as opposed to texts, buttons, forms etc which are just stretched out to the full width of the landscape version. On the following pages we will show some examples of building different templates (homepages, product pages, galleries etc). When building up and desiging each page on your mobile website it's important to put yourself in the shoes of your user (on the go). What information do they need? Is it likely contact information or is it inspiration and knowledge about your company and your products/services? It is most often contact information users are looking for when visiting your mobile website so these details have to be fast to find. Detailed knowledge about the company and products, articles, etc. can be placed could put a little further down in the menu structure.